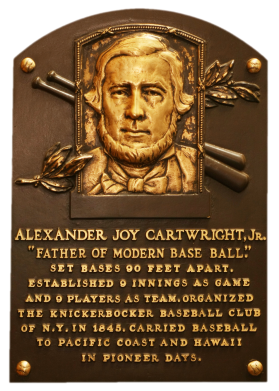 On September 23, 1845, Alexander Cartwright formed the Knickerbocker Base Ball Club and formalized a set of 20 rules that gave baseball its basic shape. 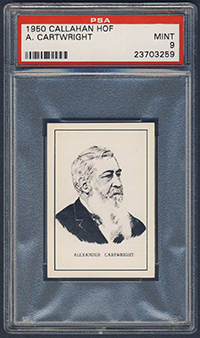 While Cartwright's involvement with the game lasted only a few years, he is the man most responsible for the game that is played, and loved, today. 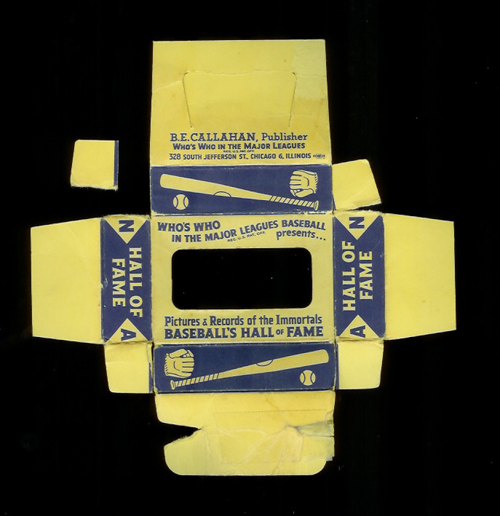 Our national pastime is his legacy. 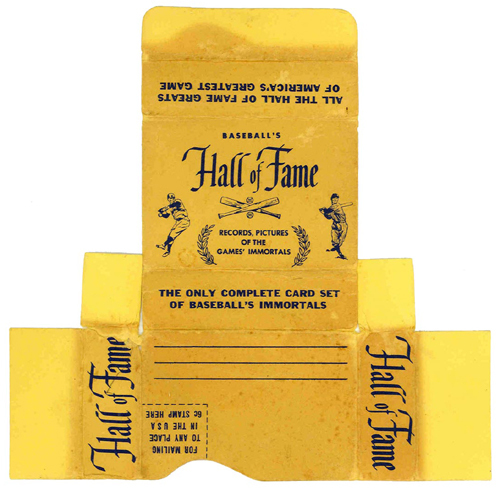 Comments: I purchased this one in September, 2004 on eBay from Andrew Tuttle (consignmints). I have a bunch of Callahans and might swap this out for a different issue at some point. Eventually, I'd like to replace the item with a cabinet card contemporary to Cartwright's career but the opportunities are few, with less than a handful of items in existence belonging to high-profile collectors. 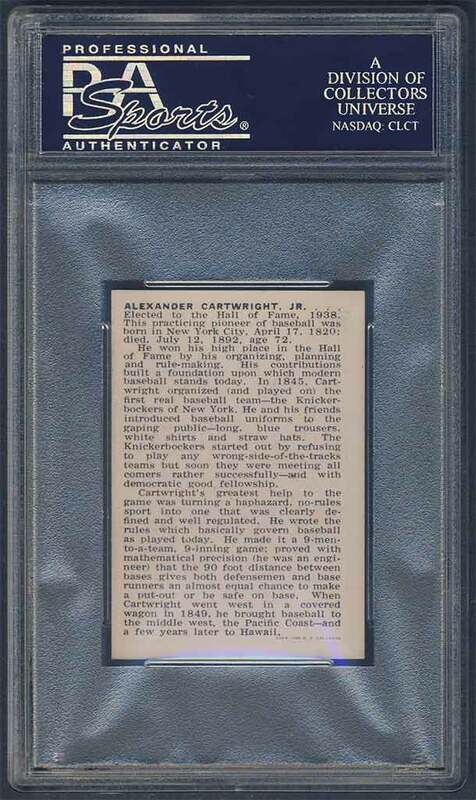 UPDATE: After many months of eyeballing a PSA 9 on eBay and watching the price be consistently lowered, I finally pulled the trigger at $56 in June, 2016. I went to the 4 Sharp Corners website and leveraged the 10% off deal for the week and picked up a ½ bump upgrade. 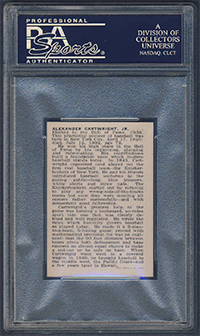 I figured the price was ok and wanted something I could register with PSA. Hopefully, I can sell the SGC 92 example to recoup some of the cost.